The Home Office Telegraphy Department always smelled of tea. The source was one packet of Lipton’s at the back of Nathaniel Steepleton’s desk drawer. Before the widespread use of the electric telegraph, the office had been a broom cupboard. Thaniel had heard more than once that its failure to expand was a sign of the Home Secretary’s distrust of naval inventions, but even if the wasn’t the case, the departmental budget never stretched to the replacement of the original carpet which like to keep the ghosts of old smells. Besides Thaniel’s modern tea, there was cleaning salt and hessian, and sometimes varnish, though nobody had varnished anything there for years. In 1883, Thaniel Steepleton returns to his tiny flat to find a gold pocketwatch on his pillow. But he has worse fears than generous burglars; he is a telegraphist at the Home Office, which has just received a threat for what could be the largest-scale Fenian bombing in history. 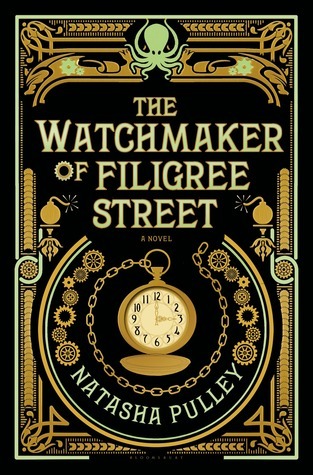 When the watch saves Thaniel's life in a blast that destroys Scotland Yard, he goes in search of its maker, Keita Mori – a kind, lonely immigrant who sweeps him into a new world of clockwork and music. Although Mori seems harmless at first, a chain of unexpected slips soon proves that he must be hiding something. Meanwhile, Grace Carrow is sneaking into an Oxford library dressed as a man. A theoretical physicist, she is desperate to prove the existence of the luminiferous ether before her mother can force her to marry. As the lives of these three characters become entwined, events spiral out of control until Thaniel is torn between loyalties, futures and opposing geniuses. If you had to pigeonhole this curious and fantastical book, I think you’d have to call it ‘literary steampunk’. It’s shot through with little jewels of finely worded prose and you can almost smell the 1880s – but not as we know them. Think Sherlock with a dash of Dr Who – and an oddly satisfying soundtrack of Gilbert and Sullivan to complete this clever concept. A fine combination of magic, intrigue and science fiction, it involves a particularly beguiling female character amongst all the mechanical delights and time-travelling mystery. There’s plenty of humour too between the three main characters Thaniel, Keita and Grace. I would recommend it for experienced readers: much of it depends on inference - though happily matters are clearly resolved by the end. It’s clever fun with rather British wit and style. Have a closer look at that gorgeous cover – spot the octopus? I never thought I would get fond of a clockwork cephalopod but there you go! Recommended for anyone well-read with a passion for mechanisms, mystery and a dash of mayhem. K. M. Lockwood lives by the sea in Sussex - see the pics on Instagram. She fills jars with sea-glass, writes on a very old desk and reads way past her bedtime. Her tiny bed and breakfast is stuffed full of books - and even the breakfasts are named after writers. 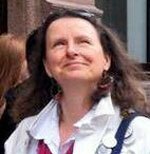 You'd be welcome to chat stories with @lockwoodwriter on Twitter.